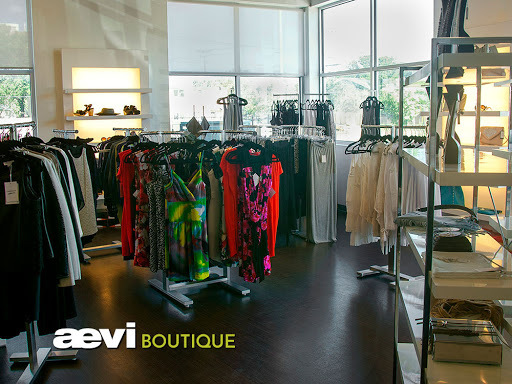 I have been coming to Aevi since they first opened and I have always loved the experience. The staff feel like family - coming home "where everyone knows your name". I rarely leave without a clothing purchase and look forward to my regular visit! Thanks to Terri and Susan for making both Bob and me feel so welcome! You are more than staff at a salon - you are friends! I have been coming to Aevi for several years. Staff at the reception desk are pleasant and professional. They offer you a drink and if required, hang up your coat. They also answer questions about products displayed. Andrea gives me manicures and pedicures. She is friendly and knows the best colors that suit me. She is terrific! Always a great experience at Aevi. I am always so pleased with my experiences at Aevi Spa and Salon. I get regular manicures, as well as eyebrow threading from Navi, and haircuts and styling with John or Melissa. Navi does a meticulous manicure, spending the full 45 minutes every time. The salon has a huge variety of nail polishes to choose from and is always up to date on the latest nail trends! The receptionists are warm, inviting, and very attentive (offer refreshments and snacks throughout the appointment). My appointments are always running on time. The space is clean, bright, and comfortable. Going to the salon is meant to be a relaxing time and the Aevi staff make sure it is that and more! Free parking, water and tea - not sure about coffee. Modern, clean and busy atmosphere. The staff are well groomed, highly trained, professional and friendly in their conduct. I walk out with great hair every time! Microdermabrasion is painless and is effective at improving and reducing fine lines. Microdermabrasion stimulates the creation of collagen and cell turnover. Immediately following a microdermabrasion session, the skin will feel smoother and have improved texture. The treatment can also be helpful with oily and enlarged pores, blackheads, and some acne scarring. Following your micro treatment, you will experience light to moderate cell turnover. At-home skin care products will be recommended by your esthetician to ensure your skin heals and maintains a great result. Glycolic Acid, also known as hydroxyacetic acid and Alpha Hydroxy Acid (AHA), is a non-toxic chemical exfoliant naturally found in fruits and vegetables like sugar beets, unripe grapes and sugarcane. Glycolic Acid dissolves the uppermost layer of the epidermis thus revealing fresh, smooth skin.